Learn lessons from a veteran working in an ever-evolving industry! 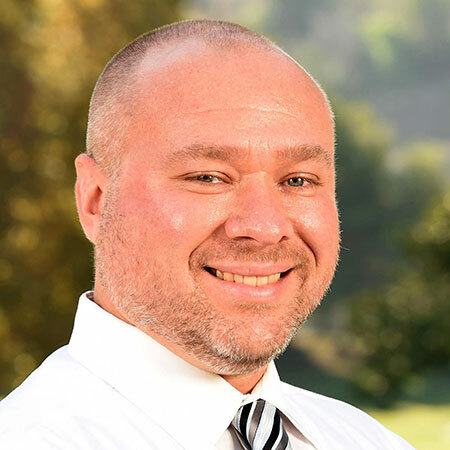 Jason Kandel will talk about how he got into the business and how he never stopped learning and evolving as media evolved. He will share his work at NBC and the cool award-winning projects he's led and been involved with. 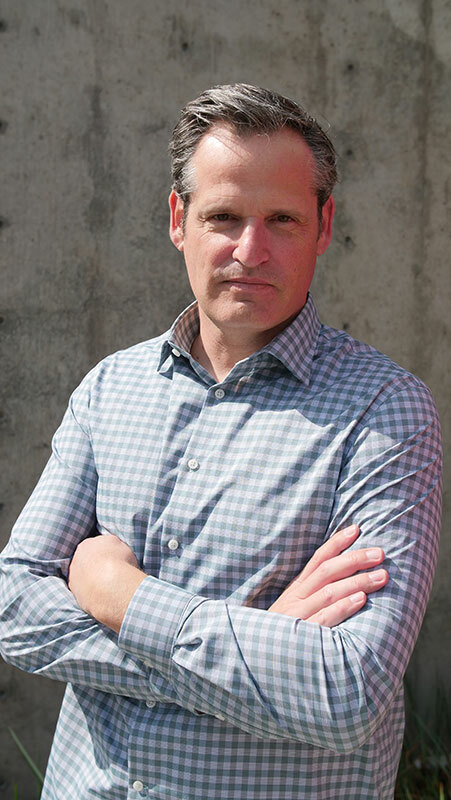 In his years covering crime, Jason Kandel's job has taken him around the world. He's shadowed a homicide detective solving a double murder. He's ridden along with gang cops on the streets of South LA. His work exposing hazing and harassment at a fire station led to reforms of the LA Fire Department. He combed through stacks of documents and sat face to face for an interview with a torture suspect in an Orange County jail to write a six-part narrative of one of the most grisly crimes in Southern California. He's been in print, radio and broadcast – from Thomson Reuters, to the Los Angeles Times, to the Los Angeles Daily News, to KPCC.org, NPR's LA affiliate, and now NBC. His work covering crime at the Daily News caught the attention of the US State Department which recruited him as part of the US Speakers and Specialists program to talk to journalists in Albania and Colombia about his reporting. Through it all he’s maintained fervent curiosity and enthusiasm about the world around him and the passion for journalism to bring the stories of others to life on the page and online. We live in California, one of the most desirable places to live in the U.S. However, we are subject to disasters such as earthquakes, floods, and especially wildfires with the multi-year drought that continues to affect our region. When a disaster hits, there's not much time to plan ahead for breaking news coverage. Journalists—whether working in print, broadcast, or online—are often on their own to get the story covered properly. That includes following journalistic ethics and values in veracity, credibility, truthfulness, etc. This four-part workshop offers hands-on skills from journalism educators, all who have worked in the news and/or public relations industry, on different way to cover disasters, especially wildfires. This includes the final session with Public Information Officer Capt. 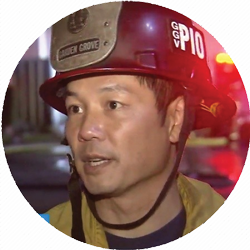 Thanh Nguyen, who currently holds that position with the Garden Grove Fire Department and who was the PIO for the SoCal Team One Fire Management Team in charge of the recent Holy Fire. Nguyen will briefly discuss his role and duties as a fire department PIO and then there will be a Q&A session. As a finale, we will conduct a mock press conference so all can play the roles they would if there were a real wildfire. This workshop consists of four hands-on sessions teaching skills related to digital storytelling in disaster situations/breaking news. AMARA AGUILAR will demonstrate innovative ways to tell a news story using Instagram Stories as well as other other tips/tools that can be beneficial in a journalist’s duties when there’s breaking news. STACI BAIRD segues into covering fires and other disasters, using content curation, which allows journalists to use text, images and video from social media for storytelling. KARYN BOWER will discuss and demonstrate how to cover audio and video on breaking wildfire news stories. Press conference protocol and etiquette for reporters will also be covered. MARYANNE SHULTS introduces Capt. Thanh Nguyen who will not only share his duties as a fire/EMS public information officer, but will host a Q&A session and a mock press conference for students to practice what they learned in the workshop sessions. 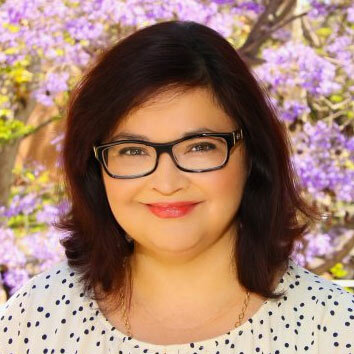 AMARA AGUILAR Amara is a digital journalism professor at USC Annenberg School for Communication and Journalism. She teaches journalism for mobile/emerging platforms, social media, visual journalism, and interactive design, among other courses. Amara has written for the LA Times, CNN and other outlets. She has worked as a designer, visual journalist, reporter, social media engagement producer and consultant. STACI BAIRD Before relocating from the Bay Area to Southern California for a full-time teaching position at the University of La Verne, Staci was Engagement Editor for Global Press Journal, an award-winning digital publication that produces high-impact news stories from some of the least covered regions of the world. She was journalist-in-residence at Notre Dame de Namur University and previously taught digital media courses at San Francisco State University and the University of Tennessee. Staci earned her master’s degree in journalism from Kent State University. Her research interests include social bots, social media metrics, digital and social media innovations in teaching. 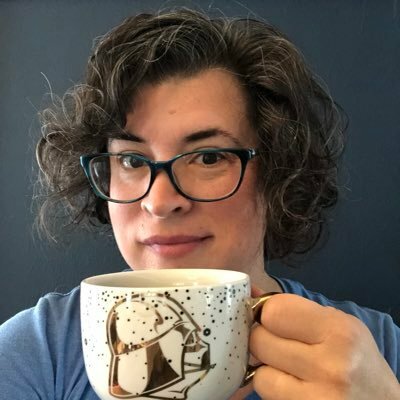 She was associate director of digital and social media at the Stanford School of Engineering, senior internet marketing manager for Lucasfilm, innovations project manager for E.W. Scripps Newspaper Interactive, multimedia project manager for MSN Money and a community manager for CBS Interactive. 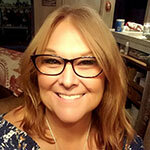 Staci is a long-time member of the Online News Association and a member of Journalism and Women’s Symposium. She was honored with the Distinguished Service to Journalism Education Award by the Journalism Association of Community Colleges in 2013. Her work in digital media has been recognized by the Society of Professional Journalists and the Kansas Professional Communicators. KARYN BOWER Karyn majored in Television, Radio & Film at Saddleback College and Communications & Media at CUNY, City University of New York. She is currently Associate Professor at Saddleback College, Mission Viejo, teaching Video Journalism and the History of Television. Karyn’s students are members of the OC Newsteam, producing video and news content for OC Now. This student-run television production covers trending Orange County stories and airs on Cox Channel 39 throughout the O.C. You can find OC Newsteam’s videos at OCnewsteam.com. Before starting her teaching career in 2013, Karyn interned and worked for a number of Orange County and LA-based news stations including KOCE, KABC 7, and KDOC-TV. Karyn worked as a video journalist shooting and editing her own stories for air. In addition to reporting, Karyn was a segment producer and occasional news director, helping to coordinate coverage between her station and media partner OC Register. Karyn served on the Board of Directors for multiple organizations, including the Lake Arrowhead Film Festival. She wore many hats during her time at LAFF, including Media and Press Relations Rep, chairperson, and Video Production Producer. MARYANNE SHULTS MaryAnne was the co-adviser for the Lariat , the student-run news publication and Orange Appeal, the news magazine at Saddleback College. She is an associate professor in the journalism department currently teaching mass media and society. She is also an adjunct lecturer at Cal State Fullerton where she has taught media writing, feature writing, mass communication/society and principles of communication research. She has also co-taught video journalism and interactive media design, as well as production classes emphasizing journalism infusing blogging, social media, data reporting, and investigative reporting. She was co-owner of a web development and design firm for over 20 years, specializing in custom programming, design and content development and today works as a media consultant in the areas of motorsports, health communication and social media strategy. She is an alumnae of both Saddleback College and CSUF and a proud native of the Western/upstate New York State's Finger Lakes region. Workshops: 10:30 - 11:30 a.m.
DOWNLOAD A WORKSHOP FLIER We live in California, one of the most desirable places to live in the U.S. However, we are subject to disasters such as earthquakes, floods, and especially wildfires with the multi-year drought that continues to affect our region. When a disaster hits, there's not much time to plan ahead for breaking news coverage. Journalists—whether working in print, broadcast, or online—are often on their own to get the story covered properly. That includes following journalistic ethics and values in veracity, credibility, truthfulness, etc. This four-part workshop offers hands-on skills from journalism educators, all who have worked in the news and/or public relations industry, on different way to cover disasters, especially wildfires. This includes the final session with Public Information Officer Capt. 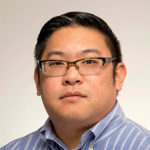 Thanh Nguyen, who currently holds that position with the Garden Grove Fire Department and who was the PIO for the SoCal Team One Fire Management Team in charge of the recent Holy Fire. Nguyen will briefly discuss his role and duties as a fire department PIO and then there will be a Q&A session. As a finale, we will conduct a mock press conference so all can play the roles they would if there were a real wildfire. This workshop consists of four hands-on sessions teaching skills related to digital storytelling in disaster situations/breaking news. Session 1. / 10:30 - 11:30 AMARA AGUILAR will demonstrate innovative ways to tell a news story using Instagram Stories as well as other other tips/tools that can be beneficial in a journalist’s duties when there’s breaking news. AMARA AGUILARAmara is a digital journalism professor at USC Annenberg School for Communication and Journalism. She teaches journalism for mobile/emerging platforms, social media, visual journalism, and interactive design, among other courses. Amara has written for the LA Times, CNN and other outlets. She has worked as a designer, visual journalist, reporter, social media engagement producer and consultant. 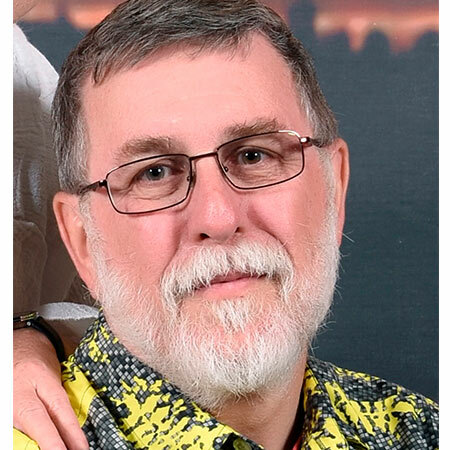 Rich Cameron retired two years ago after teaching community college journalism for 41 years. One of his latest projects is to bring together a team of community colleges to research relevant campus news stories that can be enhanced by statewide information gathering. His workshop will report on the first round of the project and provide information Part 2 with a second term of students from around the state. Dr. Jason M. Shepard is a media law scholar, associate professor and chair of the Department of Communications at California State University, Fullerton, one of the largest mass communications programs in the United States. His research examines the role of the First Amendment in American democracy, journalism and culture, and he teaches courses in journalism and media law, history and ethics. Before academia, Shepard worked as an award-winning journalist in Wisconsin and Teach For America corps member in New York City. Workshops: 11:45 a.m. - 12:45 p.m.
Help make the world a better place? Reveal stories of the disenfranchised? Engage people in public issues that affect them? And earn a living doing it? If so, investigative and social justice reporting may be for you. Come hear from professionals in the business about possible career paths, how to break in and what to do now to prepare. Julie Patel Liss is a journalism professor at Fullerton College and a national Emmy award-winning journalist. She previously worked at the Better Government Association and the Center for Public Integrity, two investigative journalism nonprofits. She also worked as an investigative reporter for WAMU-FM 88.5, the National Public Radio affiliate in Washington, D.C., where she co-authored a multimedia project that won nine journalism awards and honors in 2013 and 2014. She spent most of her career at newspapers including The South Florida Sun Sentinel and the San Jose Mercury News. Julie was born in India and raised in Chicago. She received a bachelor’s degree from the University of Chicago and a master’s degree from Stanford University. Jesús Ayala, host Se Habla Español: Exploring Careers in Spanish-Language TV The number of Latinos who speak Spanish at home is at an all-time high— a record 37 million Latinos ages 5 and older speak Spanish at home, up from 25 million in 2000. The need for students who are culturally competent and who are fully bilingual and biliterate is now more imperative than ever. In this workshop, we will explore the world of Spanish-language TV News and how being bilingual will make you more competitive in the current journalism job climate. Workshops: 2:15 - 3:15 p.m. This workshop consists of four hands-on sessions teaching skills related to digital storytelling in disaster situations/breaking news. Session 4. / 3:30 - 4:30 MARYANNE SHULTS introduces Capt. 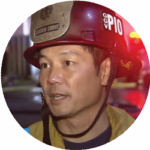 Thanh Nguyen who will not only share his duties as a fire/EMS public information officer, but will host a Q&A session and a mock press conference for students to practice what they learned in the workshop sessions. Karyn majored in Television, Radio & Film at Saddleback College and Communications & Media at CUNY, City University of New York. She is currently Associate Professor at Saddleback College, Mission Viejo, teaching Video Journalism and the History of Television. Karyn’s students are members of the OC Newsteam, producing video and news content for OC Now. This student-run television production covers trending Orange County stories and airs on Cox Channel 39 throughout the O.C. You can find OC Newsteam’s videos at OCnewsteam.com. Before starting her teaching career in 2013, Karyn interned and worked for a number of Orange County and LA-based news stations including KOCE, KABC 7, and KDOC-TV. Karyn worked as a video journalist shooting and editing her own stories for air. In addition to reporting, Karyn was a segment producer and occasional news director, helping to coordinate coverage between her station and media partner OC Register. Karyn served on the Board of Directors for multiple organizations, including the Lake Arrowhead Film Festival. She wore many hats during her time at LAFF, including Media and Press Relations Rep, chairperson, and Video Production Producer. BRING IT ON! This workshop surveys the long tradition of news parody in scholastic media. We'll look at examples of comedic news and learn a few tips for writing our own satiric news bits. 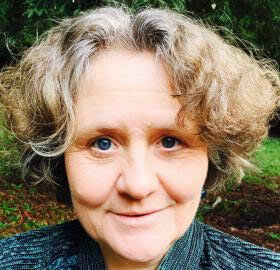 Associate Professor Deidre Pike is chair of the Department of Journalism and Mass Communication at Humboldt State University. 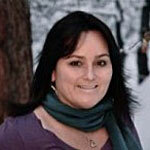 She's taught journalism at University of Hawai‘i at Manoa (2011-2012) and University of Nevada, Reno (2003-2011). 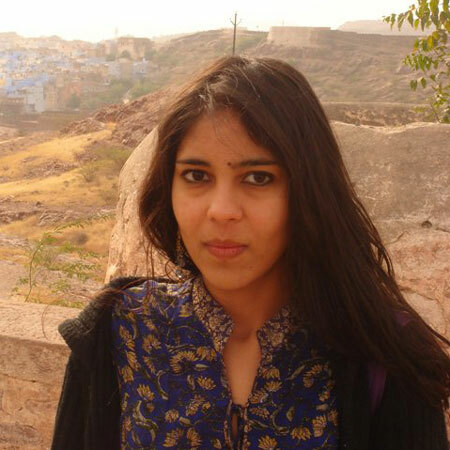 She’s worked as a newspaper reporter, editor, website content wrangler and freelance writer. She's the author of two books: "Enviro-toons: Green Themes in Animated Cinema and Television" (2012) and "Media Literacy: Seeking Honesty, Independence and Productivity in Today's Mass Messages" (2014). The sports page is the second best-read page in the paper after page 1. So why do designers put such little effort into how it looks? Find some tips to make yours a beacon to sports fans. 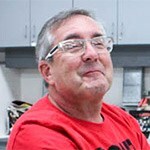 Gary Metzker is a lecturer and publications adviser at Long Beach State. Prior to taking on his role at Cal State Long Beach in 2008, Gary spent 24 years at the Los Angeles Times, working in a variety of roles including sports news editor, metro news editor, and senior editor. He was the page one designer for some of the biggest news stories of the last 20 years, including the O.J. Simpson Trial, the 9/11 terrorist attack, and the death of Princess Diana. He has been a part of four Pulitzer Prizes for his work, as well as four Los Angeles Press Club award for headline writing, design, and news writing. In his time at Cal State Long Beach, the newspaper and magazine have won Pacemaker and Pinnacle awards for five consecutive years. In 2013 he was selected as the California Journalism Educator of the Year. 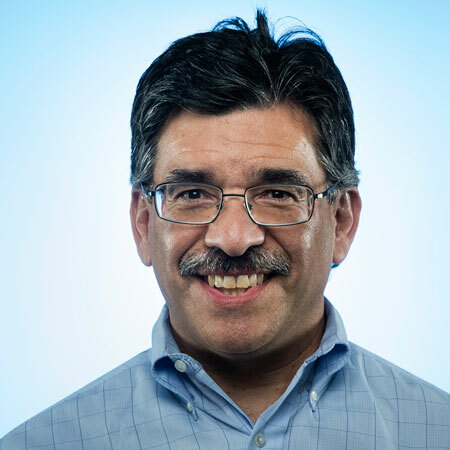 Steve Padilla, an expert on feature and narrative writing, will share three basic tips that writers can start using immediately to make their work brighter, tighter and more compelling. These techniques help you focus your material, and they work for all kinds of writing, whether you're writing an academic paper or racing a daily deadline 30 minutes away. Steve Padilla is editor of Column One, the Los Angeles Times' signature A1 news feature. Padilla also directs Metpro, the paper's training program for young journalists. A three-decade Times veteran, Padilla has covered local, national and international news. He serves as a writing coach and lectures frequently at colleges and professional conventions on writing. He tweets on writing technique at @StevePadilla2. 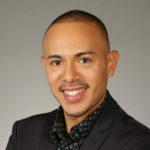 Before joining the Times, he worked for the San Diego Union and Hispanic Link Weekly Report, a national newsletter on Latino affairs. He says he received invaluable training when he was editor of Campus News at East Los Angeles College and of the Daily Trojan at USC. Workshops: 3:30 - 4:30 p.m.
We live in California, one of the most desirable places to live in the U.S. However, we are subject to disasters such as earthquakes, floods, and especially wildfires with the multi-year drought that continues to affect our region. When a disaster hits, there's not much time to plan ahead for breaking news coverage. Journalists—whether working in print, broadcast, or online—are often on their own to get the story covered properly. That includes following journalistic ethics and values in veracity, credibility, truthfulness, etc. This four-part workshop offers hands-on skills from journalism educators, all who have worked in the news and/or public relations industry, on different way to cover disasters, especially wildfires. MARYANNE SHULTS introduces Capt. Nguyen who will not only share his duties as a fire/EMS public information officer, but will host a Q&A session and a mock press conference for students to practice what they learned in the workshop sessions. MaryAnne was the co-adviser for Lariat, the student-run news publication and Orange Appeal, the news magazine at Saddleback College. She is an associate professor in the journalism department currently teaching mass media and society. 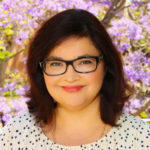 She is also an adjunct lecturer at Cal State Fullerton where she has taught media writing, feature writing, mass communication/society and principles of communication research. She has also co-taught video journalism and interactive media design, as well as production classes emphasizing journalism infusing blogging, social media, data reporting, and investigative reporting. She was co-owner of a web development and design firm for over 20 years, specializing in custom programming, design and content development and today works as a media consultant in the areas of motorsports, health communication and social media strategy. She is an alumnae of both Saddleback College and CSUF and a proud native of the Western/upstate New York State's Finger Lakes region. These days, people expect to read about the news as it's happening. This workshop will get into how to make that happen, from finding sources on social media to live-streaming the scene of breaking news to how that all gets turned into a story. Christopher Yee is a city reporter for the Pasadena Star-News and San Gabriel Valley Tribune. He first got into journalism at East Los Angeles College, where he was editor of the Campus News. At UC Berkeley, he was a reporter and editor for The Daily Californian. He interned at the San Francisco Chronicle and the Center for Investigative Reporting before interning and eventually being hired at the Orange County Register. Penchan is an assistant professor of journalism at California State University, Fullerton. She was a producer for English newscast MCOT News for Channel 9 in Thailand and a reporter for Japanese broadcaster NHK World and CNN World Report in Hong Kong. Early in her career, she reported for the Bangkok Post and Billboard magazine. At. CSUF, she teaches COMM 202 Digital Reporting and Production, COMM 325 Multimedia Journalism and COMM 422 Communications Technologies. Her research focuses on social movements and activism in the digital age. She was invited to speak on the issues of media and activism in Thailand at Harvard University, Columbia University and the U.S. Department of State. Posted in 2018 SoCal, SoCal Conference and tagged Jason Kandel, keynote, speakers, workshops.